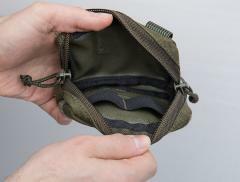 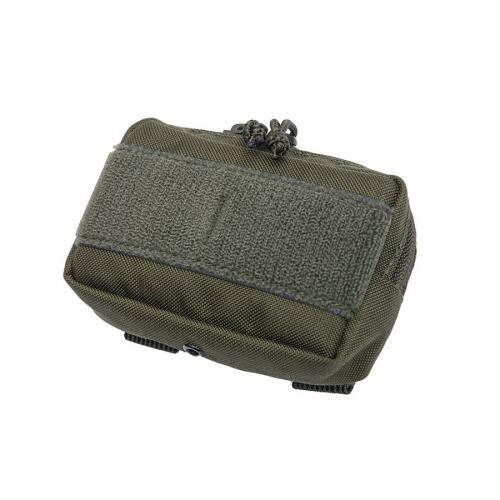 A small horizontal general purpose pouch with zipper closure and elastic webbing for organizing small trinkets. 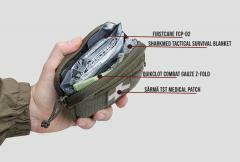 Can also function as a "Mini IFAK" fitting a small first aid dressing, a package of Quikclot and an emergency blanket. 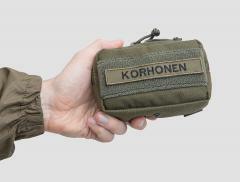 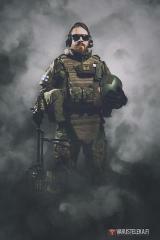 These are made from the very same materials as Finnish army M05 combat equipment. 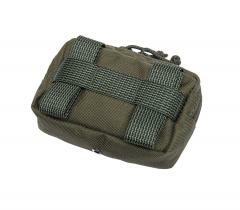 1000D Cordura and high strength webbing. 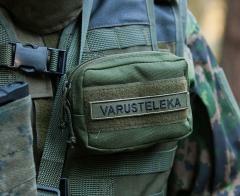 NIR-compliant, naturally.